Ever wake up feeling exhausted? Maybe you got plenty of hours in bed, but you hardly feel like you’ve slept at all. Getting a decent sleep isn’t all about putting in the hours; rather, quality matters more than quantity. So here are six ways you can get a better, deeper sleep. Try them for yourself! This might sound like a cliché, but have you tried yoga? A survey by the National Center for Complementary and Integrative Health found over half of yoga practitioners reported experiencing better sleep. Yet it isn’t just self-reporting; there’s some scientific evidence that regular yoga can significantly improve your sleep. This 2004 study found “statistically significant improvements” in sleeping patterns for participants who took part in a simple, daily yoga class. The study was small, but the results line up with what yogis the world over have been saying for years: if you want a decent night sleep, then nothing beats yoga. Health supplements are a controversial issue, but there might be something to them when it comes to magnesium. There is clear scientific evidence suggesting a link between low levels of magnesium and a range of issues like insomnia, depression and sleep apnea. There’s also some evidence showing that magnesium supplements can help somewhat. An Iranian study found participants given supplements of 500 milligrams of magnesium fell asleep faster than those given a placebo, though their overall sleep time didn’t change much. Of course, quality beats quantity, though many experts are skeptical of large-dosage magnesium supplements, and recommended dietary changes instead. So if you have trouble getting a good, deep sleep, try eating more magnesium-rich foods like nuts, leafy greens, fish, chicken and beef. Along with magnesium, calcium is also often considered by experts as a key ingredient for a good, deep sleep. The general idea is that calcium may be linked to REM sleep. A deficiency of calcium might make REM sleep more difficult to achieve, thus leaving you feeling tired even after a full night of snoozing. So consuming more calcium probably won’t make you sleep more, but it might make you sleep better. While any pharmacy will stock standard calcium supplements, you can also try changing your diet. Along with the obvious dairy products, other good sources of calcium include soybeans, nuts, bread, broccoli, cabbage and okra. Try adding more of these foods to your diet, and you may notice improved sleep. Be aware, though, that consuming more than 1,500 milligrams of calcium a day can cause stomach pain and diarrhea. So, use everything in moderation. Like yoga, meditation might be surprisingly effective at improving your sleep patterns. This small study found a once weekly, two-hour mindfulness program significantly improved the quality of participants’ sleep. The program largely focused on meditation and other exercises aimed at improving sleep. A separate control group also participated in a sleep awareness program, but didn’t engage in meditation. Instead, they focused on theory and education surrounding sleep. Ultimately, it was those who meditated who ended up getting the best sleep. If you want to try meditation, stick with a five-minute session before bed, focusing on your breath. With practice, you’ll be able to work your way up to longer sessions in no time. When it comes to talking about ways to improve your sleep, melatonin is hard to avoid. This hormone is naturally produced by the body, and plays an important role in getting you to sleep in the first place. Nowadays, synthetic melatonin supplements are extremely popular. This popularity isn’t entirely misplaced: there is some evidence showing melatonin supplements can help some people sleep better. This study found the supplements noticeably improved the quality of life for elderly patients suffering from insomnia. However, there is plenty of other research out there that indicates commercially-available melatonin supplements might not help most people, such as this study, this one and this one too. Then there are the experts who warn against children taking melatonin. The general idea seems to be that melatonin can help, but only in low doses. Finally, there’s the latest miracle trend: passionflower. This South American herb has become a buzzword in recent years, with some advocates claiming it may be able to “eliminate insomnia,” while also curing everything from anxiety to ADHD, slowing the onset of menopause and helping with blood pressure issues. Many of the more eyebrow-raising claims are far from conclusively proven, but that doesn’t mean passionflower can’t get you to sleep. In fact, there is some promising evidence to indicate passionflower tea can improve your quality of sleep. Worst case scenario: you get a tasty exotic tea before bedtime. 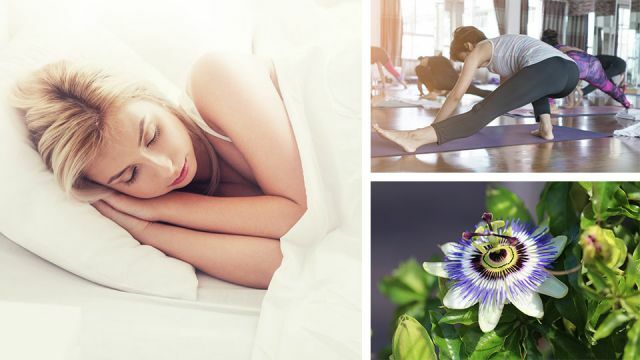 Have you tried any of these options for sleeping better? Let us know about your experience in the comments below! Hey Buddy!, I found this information for you: "Lying Awake Every Night? 6 Ways To Become A Heavy Sleeper". Here is the website link: https://www.thealternativedaily.com/6-ways-to-become-a-heavy-sleeper/. Thank you.